With the use of BIM (Building Information Modeling) and VDC (Virtual Design and Construction) in today’s industry, more engineers are incorporating these principals for designing and creating visualization in a three-dimensional space. 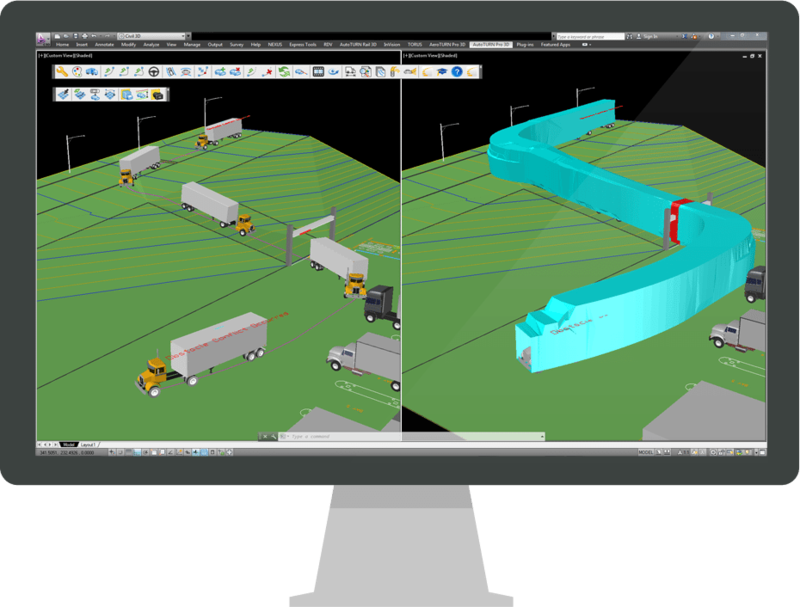 AutoTURN Pro was developed with these initiatives in mind to enable users to create and analyze vehicle swept path simulations within a 3D CAD environment. See how all the new features in the latest AutoTURN Pro release compare with previous versions for performing vehicle simulations, analysis, and visualization work. Use 3D realistic vehicle models available for the selected regions including France, Germany, the Netherlands, US and Canada.